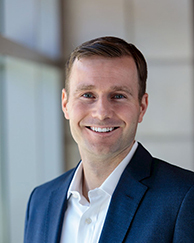 Charles McClure studies capital markets, governance, and financial reporting. Specifically, his research focuses on how accounting standards affect firm decisions. He also studies the role of board and investor oversight on firm performance. McClure earned a PhD in Accounting from Stanford Graduate School of Business, an MA in Economics from Duke University, and a BS in Civil Engineering from Cornell University. Prior to his graduate studies, he worked in real estate private equity at LaSalle Investment Management and in the investment banking division of UBS Securities. Outside of research and teaching, McClure enjoys running, reading, and camping.